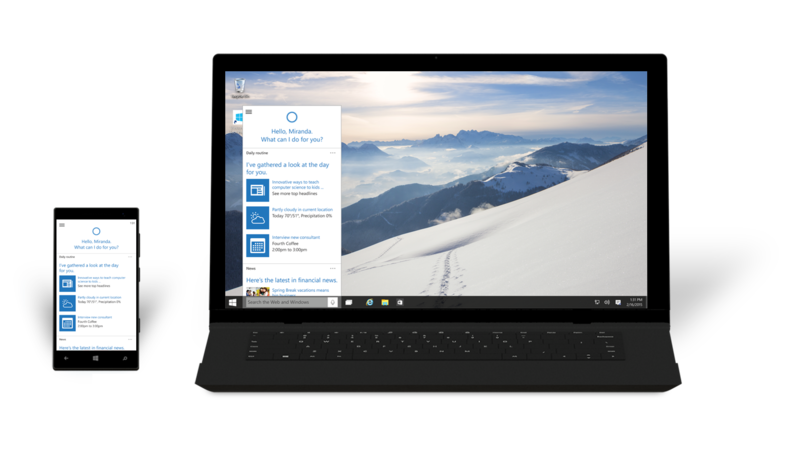 Microsoft Hit A Home Run With Windows 10! For a good amount of time now, Microsoft has been looked upon as the company that just provides essential software for desktops and runs a still developing mobile Of but after their Windows 10 event earlier today, things have significantly changed. The Microsoft we saw was different than the company we knew in 2014, after a long time the technology giant showed off things that made us go “WOW!”. Microsoft’s complete outlook has changed, some may call this the Microsoft of Satya Nadella, the highly anticipated changeover from Steve Ballmer’s era. Satya said that he wants people to move over from needing Windows to choosing Windows to loving Windows and after seeing what the company has to offer, I’m exploding with excitement! Let’s start off with some great news for all those availing version Microsoft services. For the first year that Windows 10 launches, all devices running Windows 8.1, Windows 7 and even Windows Phone 8.1 will get a FREE upgrade to Windows 10! You heard me correctly, every single device running those OSs Will get upgraded to Windows 10 for free for the first year. Now we will not blame you if this sounds too good to be true, in fact there is a high chance that there is some fine print that adds limitations to this upgrade but we will have to wait and see to get a better idea. If you happen to own an XBOX One, buying a Windows device seems like a crazy awesome idea. Although I personally prefer the PS4, I’m terribly tempted to switch over to Microsoft’s side. Why? Because with Windows 10, you can stream any game on your XBOX One over home WiFi to your Windows 10 device! And since everyone on Windows 7 and 8.1 will hopefully get the update, this looks like a game changing feature in the console space. With the PS4 you can do this with certain Xperia models but it pales in comparison to the sheer number of devices running Windows which should be able to support this. Cortana on Windows Phone is already awesome and is in close second place behind Google Now. So what has Microsoft done with her this time? Well Cortana will com built in with Windows 10 with her home easily accessible on the bottom right of the taskbar. 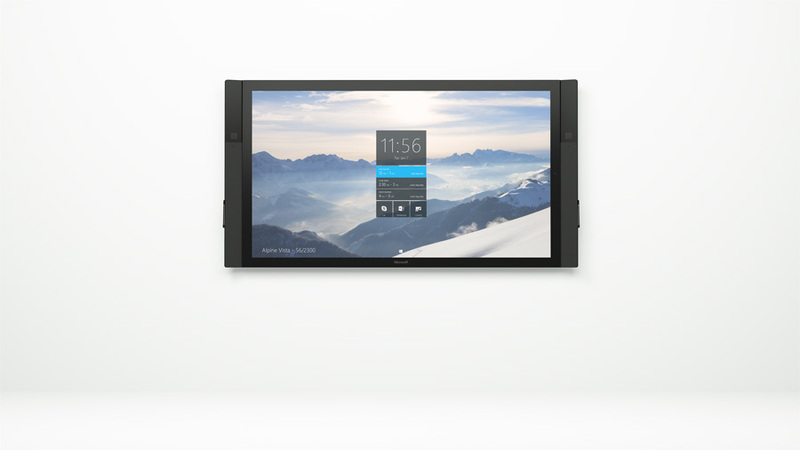 Microsoft said that Cortana will be there as a sort of family member hoping you out with different tasks hands free. They also mentioned that Cortana will only know what you want her to know. In fact there is an interface from where you can edit the things Cortana knows about you in the event that she learned something incorrectly or if you don’t want her to know something. What puts Cortana front and center in the digital assistant field is that she will soon be available on all Windows 10 devices. Windows is the most popular desktop operating system and is run on most laptops too. Giving so many people access to Cortana will make her the talk of the town and give people more incentive to use the service. 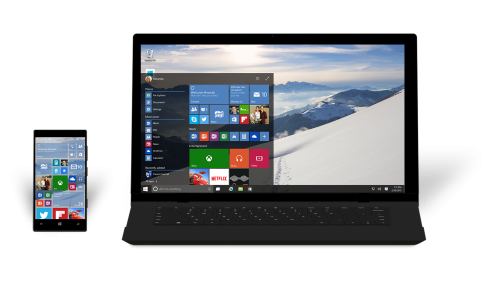 Microsoft put a lot of emphasis on making Windows a more universal platform. That means making the OS feel familiar regardless of what platform it is on (desktop, laptop, mobile ). Of all the things we saw at the event, the Surface Hub was surely the most odd. The surface Hub is a massive 84 inch 4k display with WiFi, NFC, cameras and a bunch of other sensors. The device is meant to be used for collaborative work in enterprise and is partnered with a pen like stylus. The demonstration showed off the sensing and input capabilities of the system whilst simultaneously being able to conference on Skype. 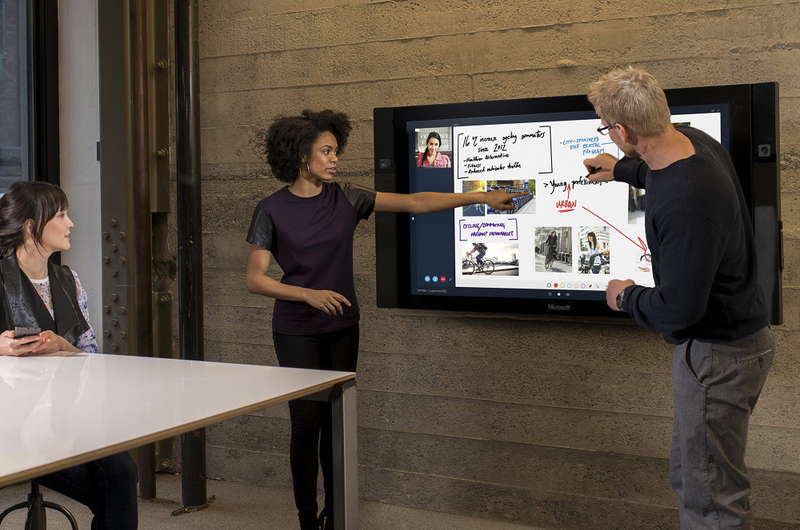 The Surface Hub is capable of more but what the real question is how much will it cost. 4k TVs are crazy expensive hence we expect the Surface Hub to cost even more than traditional 4k TVs. Microsoft showed off their new browser at the event, codenamed “Spartan”. The browser brings a new look and feel and has some new tricks up its sleeve though nothing really mention worthy. The main point here is that the browser was made from scratch and should be better than Internet Explorer because Microsoft can not expect to ship that with Windows 10. We saved the best for last. The Redmond based technology giant in a few minutes put Google Glass and virtual reality to shame with their newest announcement. For well over the past year, everyone has confidently said that VR is the future of technology but nobody ever predicted Microsoft to make a move with augmented reality (AR). The company showed and demonstrated their new AR glasses – HoloLens. The device is strapped to your head like a fancy pair of sunglasses and projects holograms onto the screen to give an immersive AR experience. What is absolutely mindblowingly crazy is that all the necessary electronics and processors are in the headgear itself! It does not need to be connected to a computer and has no wires. Microsoft said that along with the CPY and GPU, the head-unit also has a Holographic Processing Unit. Upon first glance the quality of the AR looks awesome, nice and sharp but what amazed us even more was what Microsoft did with it. Live on stage they demonstrated how a set of hand gestures paired with the HoloLens and Holographic Studio could be used to build a drone in thin air. A demonstration video shown displayed how the equipment was used to play Minecraft in the living room or project a Skype call. The technology is highly advanced and can actively understand and perceive the environment to adapt the projections. 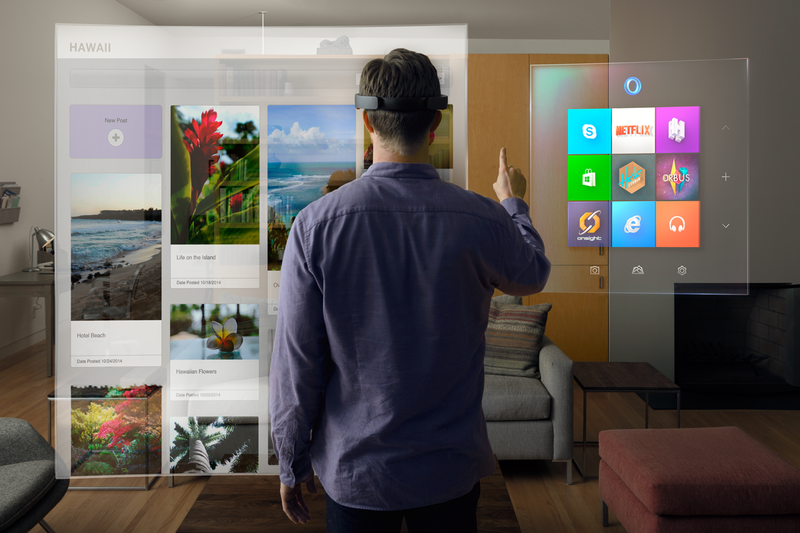 Unlike Google Glass and the Oculus, Microsoft has a very clear vision of what the AR technology can be used for. The tech obviously allows for some fun and games at home but Microsoft imagines it put to its fullest use in the hands of architects, designers and engineers. They predict having rovers on Mars and being able to see the environment through the HoloLens next year. The potential for this technology is immense and it looks as though Microsoft has already undergone more development than its VR brethren. 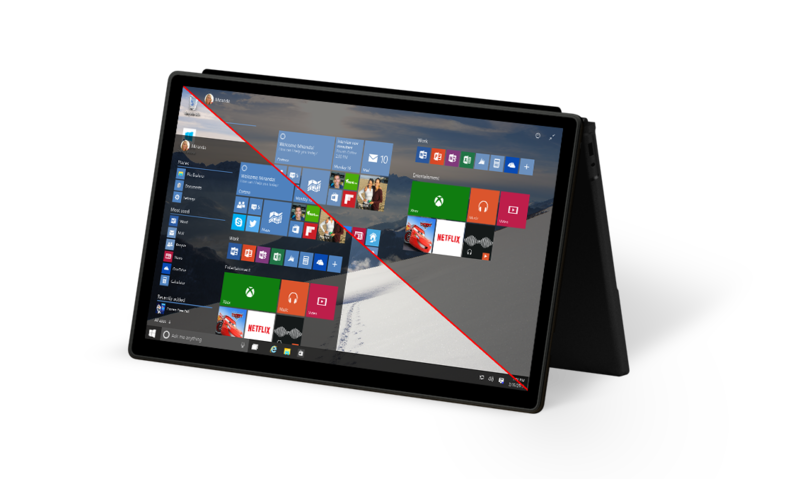 The product itself looks more promising and Microsoft has stated that it will be made available for purchase within the same timeframe of the Windows 10 release, giving them ample wiggle room for the launch. After what seemed like forever, Microsoft finally showed the ingenuity it was well known for. The only bad thing about the event honestly was the livestream itself with many people citing it was even worse than the iPhone 6 livestream from late last year. With new technology at hand along with a very promising new united software, 2015 could end up being Microsoft’s year. If anything, we are just super excited to see how Google and Apple respond to the Redmond based company’s Ace. What is for certain though, the next couple years will be exciting!